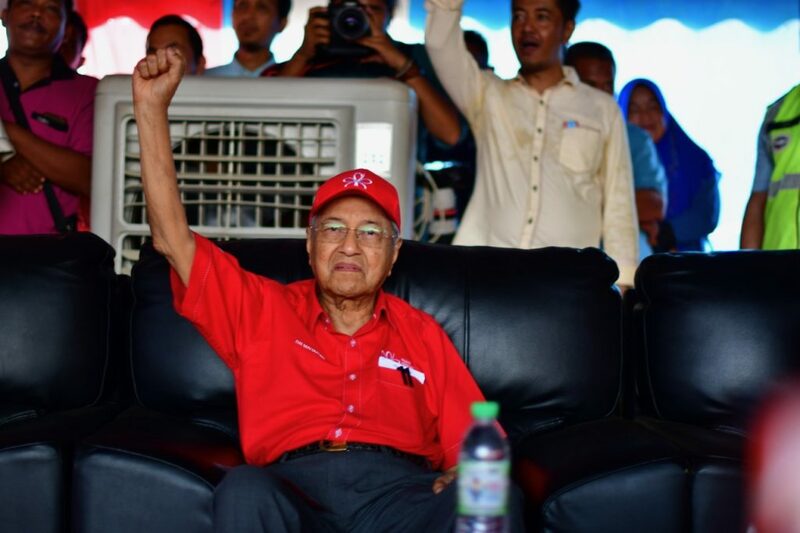 KAMPUNG BUKIT, KEDAH, MALAYSIA — With police investigating him under Malaysia’s new anti-“fake news” law, Mahathir Mohamad, the nearly 93-year-old former prime minister turned opposition frontman, says his country faces its dirtiest election on Wednesday. The governing coalition “will cheat like mad, they will steal votes, but still I think we can win,” Mahathir said in an interview with The Times, stepping off a makeshift stage and into a nearby BMW waiting to take him to yet another campaign rally. Defying his age, Mahathir had just wrapped up a half-hour stump speech in this farming area about a 20-mile drive from Aloh Setar, the capital of Kedah state, his home base. Kedah has typically been a government stronghold, although the green flags of Malaysia’s Islamist party also flutter along its roadsides. Mahathir wants to swing the state, and enough rural Muslim Malays across the country, to his four-party opposition grouping known as the Alliance of Hope. That will be tough. The governing coalition has run the country since independence in 1957, and everywhere there are reminders of its sway. 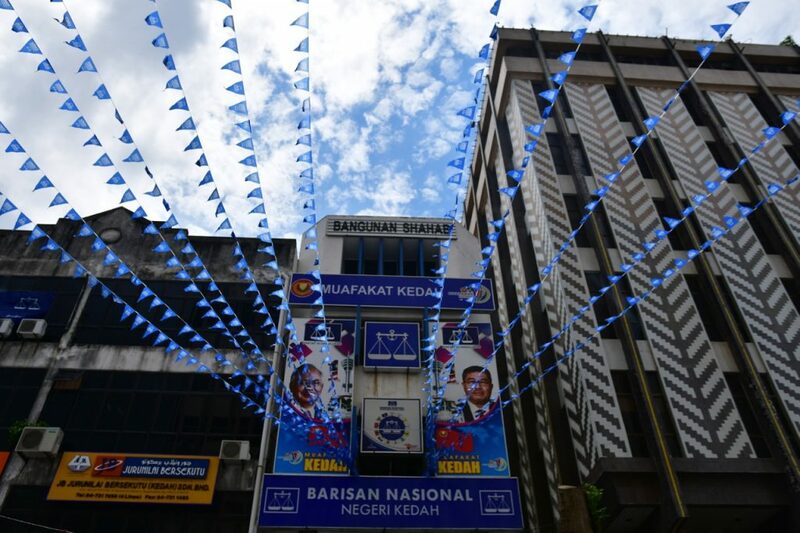 In Aloh Setar, and across nearby Penang state, a major tourism destination to the south, the dark blue banners and billboards of the ruling National Front are ubiquitous — another reminder that the opposing coalition, even one led by one of 20th century Asia’s most formidable politicians, faces a daunting adversary. An authoritarian and anti-Western prime minister from 1981 to 2003, Mahathir made a surprising and belated switch to backing the liberal reformist platform of the opposition in 2016, turning on Prime Minister Najib Razak over allegations that around $700 million in public money was diverted from a state development fund into the incumbent’s bank accounts. The country has also been roiled by allegations that “fake news” is being deployed on social media to influence the election. In March, Malaysia was briefly caught up in the Cambridge Analytica-Facebook data mining scandal, when the British TV expose of now-defunct Cambridge Analytica showed one of its staffers boasting of influencing elections in Malaysia and other countries. 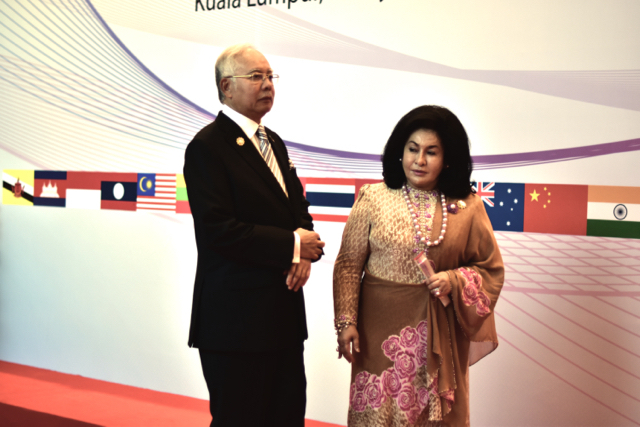 Malaysia’s opposition jumped on the comments, saying the government had questions to answer. The government said it had no dealings with the company. Mahathir is being investigated by police over remarks he made a week ago, when he said he suspected his private plane was sabotaged after a pilot noticed some damage shortly before takeoff from Kuala Lumpur. Police said they were trying to determine whether Mahathir’s speculation contravened a new anti-fake news law passed last month, which prohibits the dissemination of “news, information, data and reports which is or are wholly or partly false.” A Danish citizen in Malaysia has already been charged under the law and another opposition politician is being investigated. Social media were a major factor in driving the opposition’s relative success the last time around — it won 52% of the popular vote, but only 40% of seats. Both sides are vigorously pushing campaign content on Facebook in particular, where Najib has nearly 8 million “likes” and “follows” and Mahathir almost 5.5 million. On Twitter the respective numbers are 4.13 million and 454,000. Concerns about privacy and a sudden recent deluge of Twitter “bots” have led to people debating politics behind closed doors. 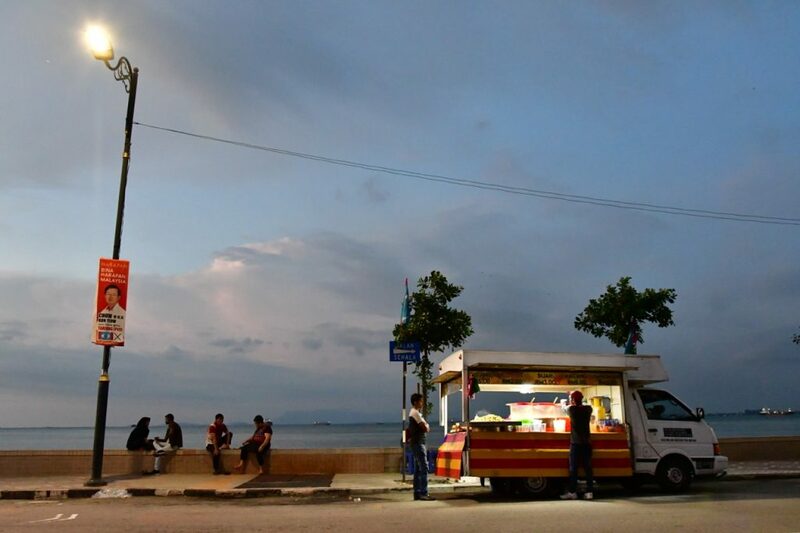 Recent research by the U.S.-based Atlantic Council showed a preelection surge in anonymous Twitter accounts posting Malaysia-related content and appearing to take a pro-government line. The government’s fake-news law is driving still more voters into encrypted chat groups. “The anti-fake news act [is] likely to accelerate this trend, as Facebook is more visible,” said Cassey Lee, who tracks social and political use of social media in Malaysia for the ISEAS-Yusof Ishak Institute, a Southeast Asia-focused think tank. The spread of fast and affordable data packages and the ubiquity of cheap smartphones mean that getting online to read news is easier than ever. But in a polarized country, more information does not necessarily mean a better informed electorate. “In east Johor, where they are very staunchly in support of [the National Front], they get the news about scandals and other allegations, and they think it’s fake news. They refuse to believe it,” said Serina Rahman, an anthropologist who studies rural Malaysia. Najib’s National Front coalition is campaigning on its economic record — Malaysia is growing at 5% to 6% a year and per-capita GDP is the third highest in the region after wealthy city-state Singapore and oil-rich Brunei. Speaking before thousands of supporters at a succession of campaign events last week, Najib said he feels pity for Mahathir, whom he described as “a recycled candidate,” and, injecting some ethnic-religious edge into their rivalry, said Mahahir was being “used” by ethnic Chinese politicians on the opposition side. With the 25% of Malaysians who are of Chinese descent likely to prove staunch opposition supporters, Mahathir’s popularity is seen as key to opposition hopes of swaying enough of the 60% of Malaysians who are Muslim ethnic Malays to their side. “I’m very proud of [Mahathir]. Although he is very old now, he still want to fight [sic] for Malaysians,” said a 33-year-old homemaker, Siti Aziz, after listening to Mahathir’s speech in Kampung Bukit. Prohibitive laws such as the fake-news code, a ban on Mahathir’s image being used on billboards, and a March 28 constituency redrawing mean that even if the opposition wins the popular vote, as it did in 2013, it will still not end the ruling National Front’s six decades in office. 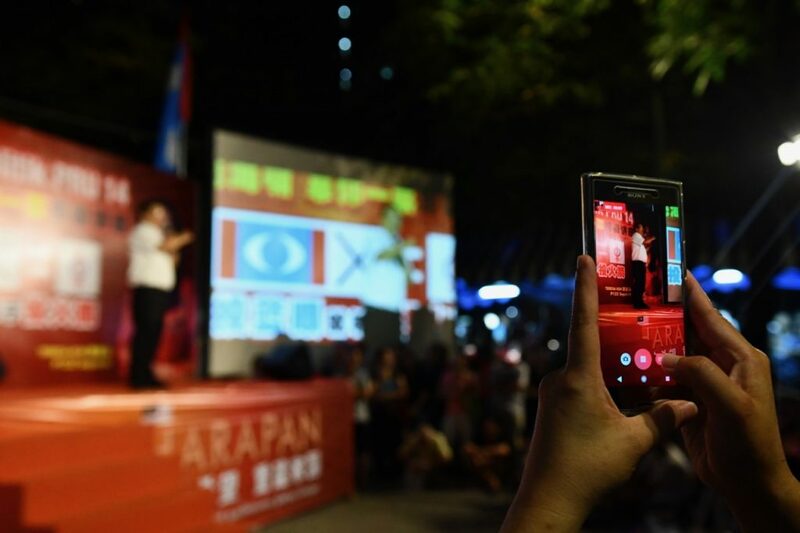 “It’s safe to say that it would require a spectacular performance by the opposition in terms of turnout and Malay support in order to pull off a victory,” said Kai Ostwald, a Malaysia watcher at the University of British Columbia.